At that time, the most exotic destination was Asia, and I was itching to learn an Asian language. China was still very much off limits, but the US government had become very interested in providing free transportation to Vietnam to draft-age men for one-year, all-expense-paid visits—with weapons. I opposed the war, but I very much wanted to learn what was going on and to do what I could to ameliorate the damage. 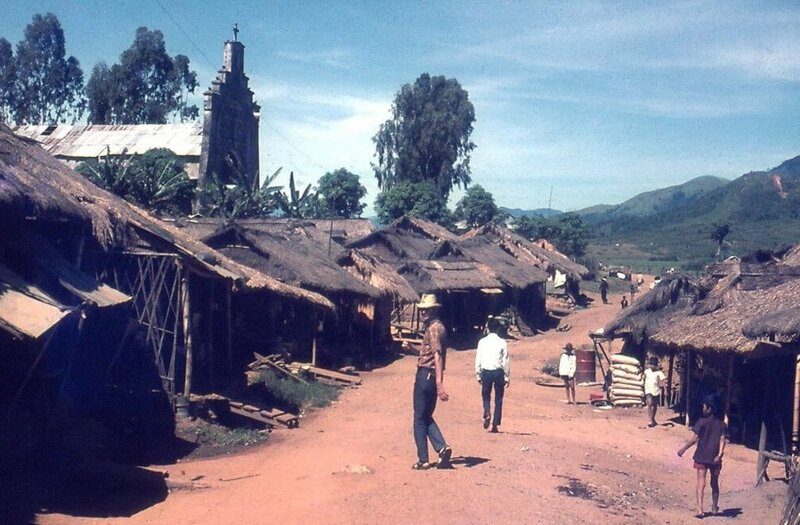 So, sponsored by Lutheran World Relief as a very green ‘community development worker,’ I arrived in Saigon in September 1970 to spend two years with the ecumenical agency Vietnam Christian Service (VNCS). Before leaving the US, I had had anxious dreams about coping with the new culture, getting lost in the thick jungles, drowning in muddy brown rivers, or being ambushed by the Viet Cong. The reality was far less exciting. My first night in the guesthouse we were served…. meatloaf. Outside, any tropical flair the city had was now choked with fumes, dust and garbage. 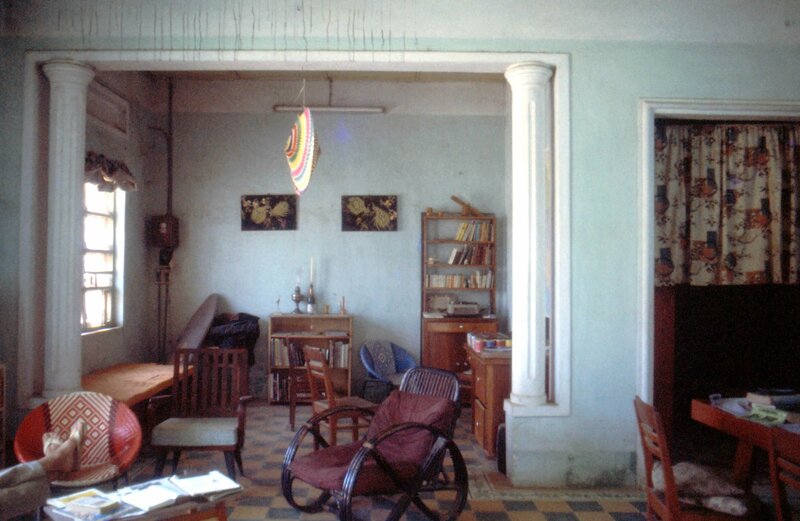 Saigon had been a pleasant French colonial capital. Now it was jammed with more than a million refugees, frenzied traffic, US soldiers casually sauntering from bar to bar—and no war in sight. I spent two months in tedious language training, by the end of which I could barely pronounce the spiky but musical tones of the Vietnamese language. Then I was sent to the northern border. In the bedraggled and seedy garrison town of Dong Ha just below the ‘DMZ’, I got my first glimpse of war. Not the bullets, tanks and airplanes of a shooting war, but the grim facts of a stalemated civil war: impoverished soldiers and their families mingling with impoverished townspeople and an occasional crazed American soldier. The town was, quite simply, terminally depressing under the thick grey monsoon sky. 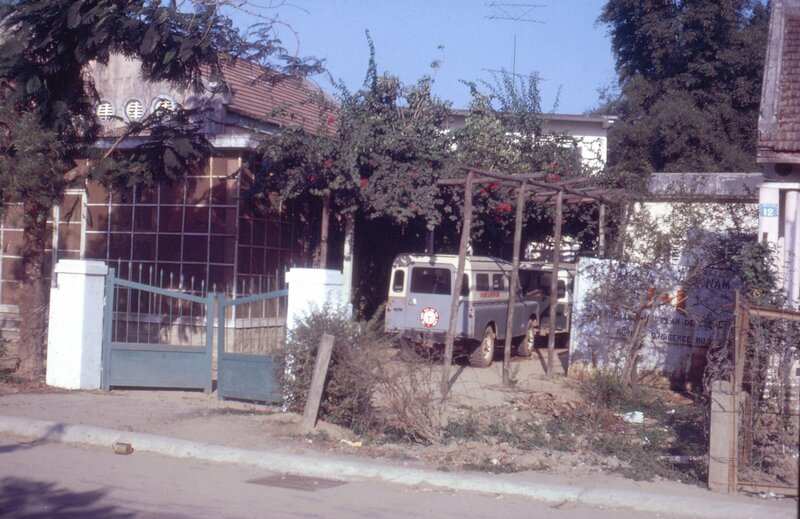 Fortunately, I soon was transferred to the province of Quang Ngai, home to the My Lai massacre and other scandalous US military debacles reported by the domestic press. 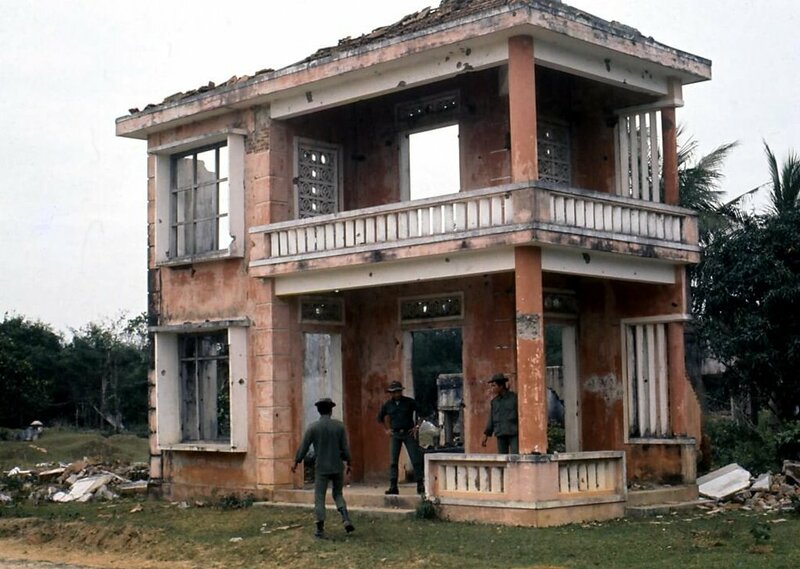 To Vietnamese, Quang Ngai was a traditional hotbed of revolt and revolution. 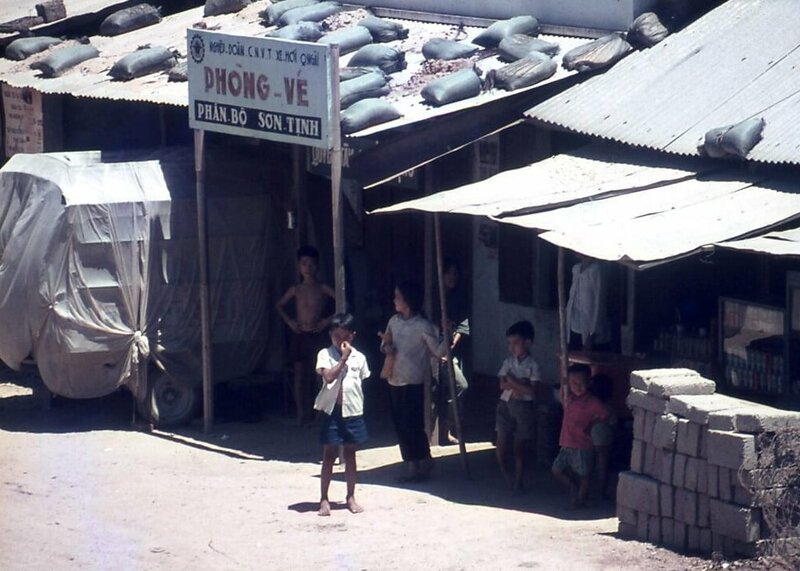 But to VNCS, it was a station where overseas volunteers put down roots, making good use of war by marrying local Vietnamese women and raising families. I was far too young and far too intimidated by the war to think of lasting attachments. The sheer pathos of the civil conflict pointed me in a different direction. Nudged by my liberal arts education, I was curious to learn about this unfamiliar world through Vietnamese eyes. 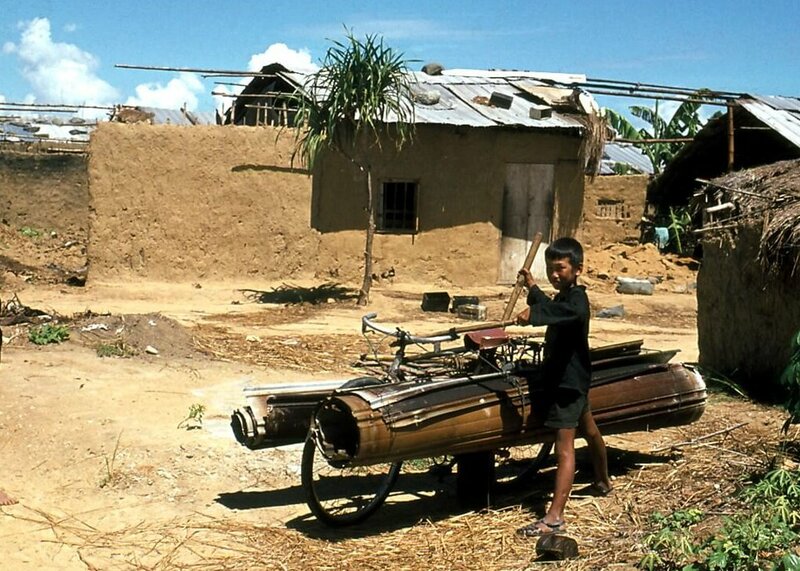 At first glance, the province of Quang Ngai seemed simply chaotic. Nothing made sense: there were people everywhere, jerrybuilt houses lining the highway, which itself was a mad and noisy scramble of trucks, motorcycles, bicycles, and occasional tanks. I convinced myself that if I could not learn to make sense of this chaos, I surely would go crazy. So I studied the available terrain—a narrow strip of tranquil rice fields wedged between purple mountains and the blue billows of the East China Sea. I explored the province by motorcycle, usually within the limits of security, and struck up conversations with grizzled rice farmers. I also tried to help. There was no lack of opportunity. I administered a modest technical training program and head-start programs for refugee children. I arranged projects for social-work students to survey living conditions in the refugee camps, of which there were more than a hundred. Almost half of the province’s population had lost their homes, for what would eventually be ten years. Pressing need showed up at our doorstep as well. A steady stream of Vietnamese visitors made all kinds of requests—for scholarships, for enrollment in the local school system, for material aid, for help getting airplane tickets, and so on. My first American co-worker was a Methodist pastor who had married into the culture and was raising a family. He was used to this traffic, but we both felt compelled to draw boundaries on who we would help and why, in a constant casuistry of distinctions that left many visitors dissatisfied. Frankly, we wanted to help smooth Buddhists more than edgy Christians, refugees more than townspeople, students as well as adults. And we most certainly couldn’t do it all. Select the to set up the slideshow. So we fell into the traditional pattern of the Quang Ngai unit: focusing on building relationships. Even this was not easy, given the huge advantages we inevitably enjoyed. By American standards, our lives were simple—no television, no phones, no refrigeration, no air conditioning, no clean water, not even much electricity. But unlike our Vietnamese colleagues, we had our own sturdy cushion of immunity against the war. So how could we Americans be ‘just friends’ when we never ran short of cash? 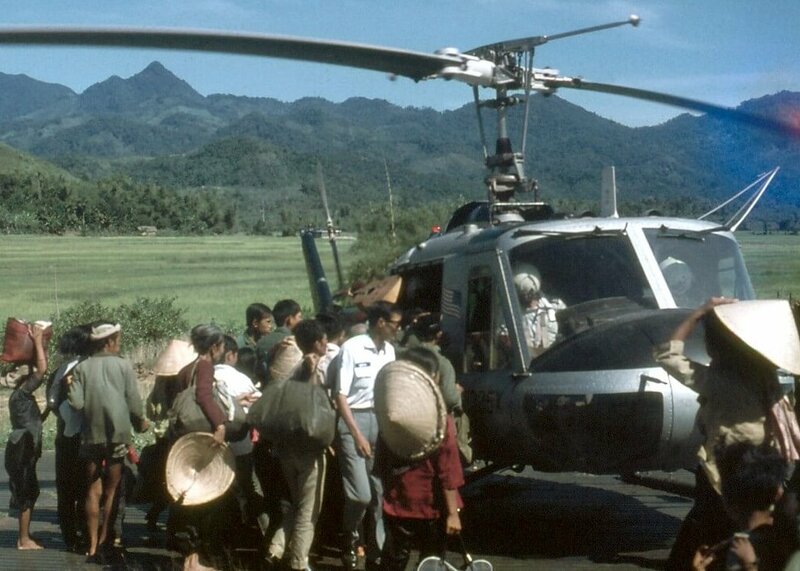 Unlike our Vietnamese friends and colleagues, we could instantly seek the help of the US diplomatic and military missions, and if the war ever got rough, we always had the option of evacuating by chopper. 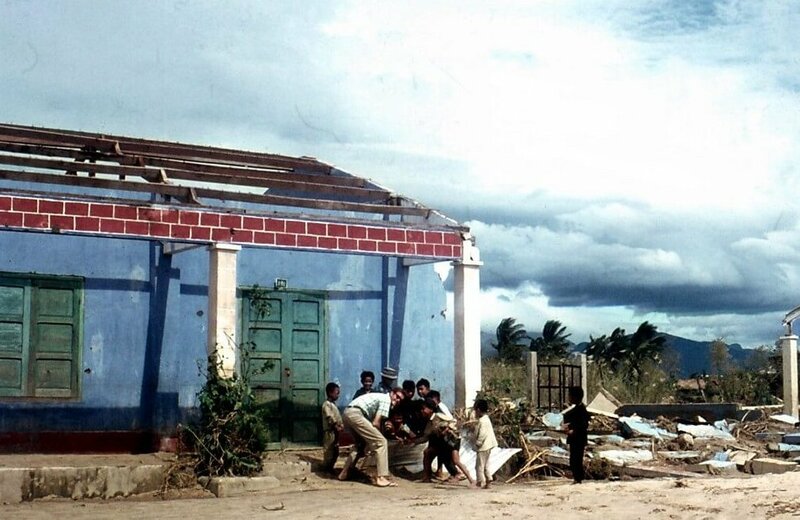 In contrast, our Vietnamese friends and co-workers lived in very basic mud or concrete houses, struggled daily to find enough to eat and enough cash to send their children to school. They could not simply leave if the smoldering war flashed into battle at their doorsteps. Occasionally we were invited to visit out in the countryside, where the steady buzz of insects, the sweet nectar of coconuts, the crisp chewiness of grilled corn and relaxed pace of the afternoon lulled us into comfortable naps on large traditional Vietnamese beds. Despite these privileges and immunities that we enjoyed, most of our friends and acquaintances were very gracious. They did their best to uphold Vietnamese traditions of hospitality. We were invited to weddings, for having an American guest was an omen of good luck. We were visited, and visited others at Tet (the lunar new year, usually in late January or early February), when we sat around cracking open and crunching endless red-painted sunflower seeds. We sipped tiny cups of green tea. Occasionally we were invited to visit out in the countryside, where the steady buzz of insects, the sweet nectar of coconuts, the crisp chewiness of grilled corn and relaxed pace of the afternoon lulled us into comfortable naps on large traditional Vietnamese beds. I began to see how life in Vietnam could be pleasant. Most of the time, we were good guests. Sometimes we slipped. 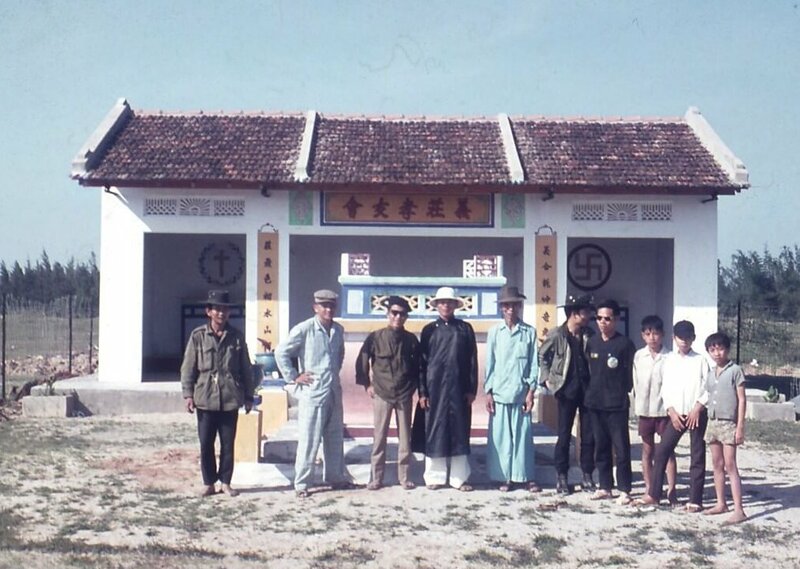 The local Vietnamese military chaplain once invited a Baptist army chaplain and me to lunch. His wife had cooked up an array of scrumptious foods, and my chopsticks were a blur of motion as I shoveled down the delicacies. The chaplain wouldn’t touch any of it. “I’m just a meat-and-potatoes man,” he announced with some pride. I couldn’t believe my ears. I felt keenly embarrassed—and proceeded to polish off enough for both of us. Yet not only the Baptist chaplain came up short. Despite many invitations, I never gained the confidence to swim easily in this unfamiliar cultural sea. On one level, I just couldn’t let go of the immunities and privileges I enjoyed, to say nothing of my battered but unbowed sense of western superiority. On a deeper level, my American sentimentality was just too shallow for the hard realities of war. I sometimes thought I was beginning to feel like a Vietnamese, but events soon shattered my illusion that I could cope with the strain of civil war. As I witnessed—and wept at—this display of public mourning, I thought I was as close to the pain of this miserable civil war as a sympathetic observer could get. In 1972, the war turned violent, with major attacks by the Viet Cong locally, and by North Vietnamese armies further north. The perimeter of security in Quang Ngai shrank. The strain on our Vietnamese co-workers and friends increased. We had to abandon new projects and instead began dispensing blankets and other aid to newly ‘generated’ refugees. 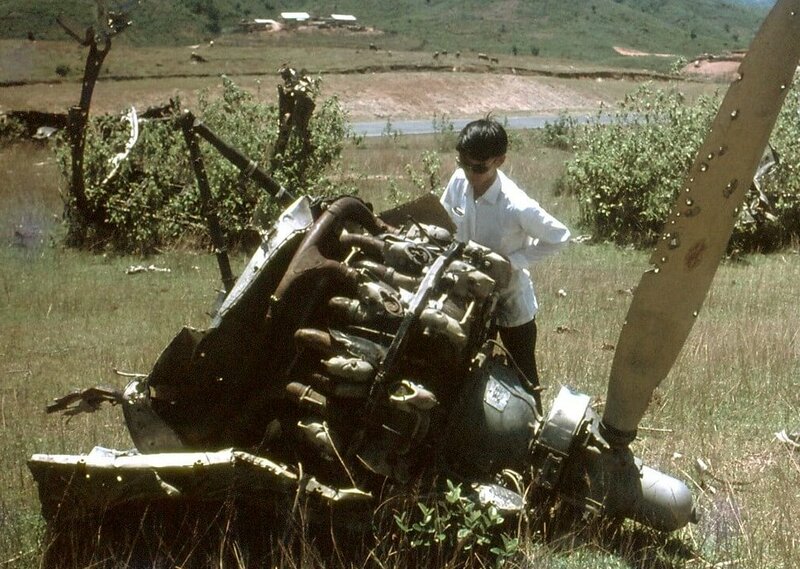 One day, a Viet Cong rocket crashed into the boys’ elementary school, killing more than two dozen students. Word spread throughout the city, and already tense faces grew even more drawn. I gingerly paid my respects to our neighbors, who generally resented our privileged expatriate American lives. I congratulated them their young son had survived, and for this brief moment we shared genuine joy. But joy was not to be the dominant mood. The next day I was asked to drive our Land Rover—perfectly shaped for carrying caskets and mourners—to convey the body of another less fortunate young boy to the public cemetery. I’ll never forget the faces of the crowds lining the street. For one and only time in that war-battered province, I saw people stone-faced in the street, weeping quietly. As I witnessed—and wept myself at—this display of public mourning, I thought I was as close to the pain of this miserable civil war as a sympathetic observer could get. A few months later, some Vietnamese co-workers and I, all males and about the same age, decided to take a short vacation together. We wanted to take a break from the relentless pressures of the war, and so took a skiff out to a lovely volcanic island ten miles offshore. By one of those mysterious paradoxes of civil war, the island of Ly Son was being used by both sides for “R&R”—rest and relaxation. Rest is what we got, more than we bargained for. Our skiff arrived just ahead of a typhoon, which cut us off from the mainland for a week. The rain lashed us three days from one side and then three days from the other. For all this time, we lived as Vietnamese. We spent the nights on the bare wooden pews in a church built several years earlier by Navy Seabees. 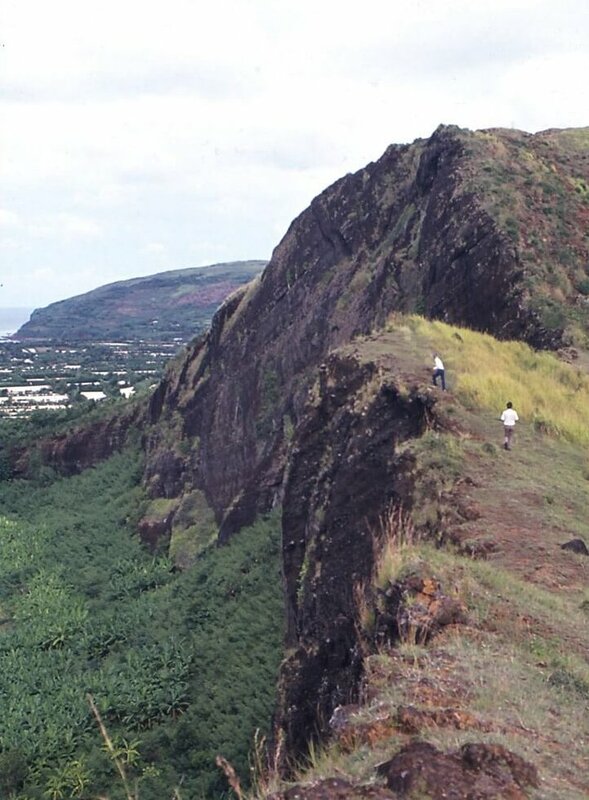 We wandered the island’s volcanic cones and beaches, utterly free from the worry of stepping on landmines. My exhaustion disappeared and suddenly my ear for the Vietnamese language gained a remarkable acuity. My vocabulary also opened wide. Best of all, there were no barriers of privilege or immunity to impede our conversations or adventures. My closest friend, Ngoc, led us to a Buddhist pagoda lodged high up on a cliff, where we had a long visit with a young man who had turned to solitary contemplation after some traumatic experience of war cost him his voice; he communicated by writing, and we gratefully imbibed the peace that he found in his secluded perch. The week was idyllic, but the happiness couldn’t last. We returned by boat to the mainland, skirting waterspouts still whipped up from the departing storm. The war was getting worse by the day. I was railing against the fighting and felt utterly powerless to do anything about it—and in the fury of my frustration made at least three bad calls. I ignored local warnings and got stuck in a seaside village in imminent peril of a Viet Cong attack. 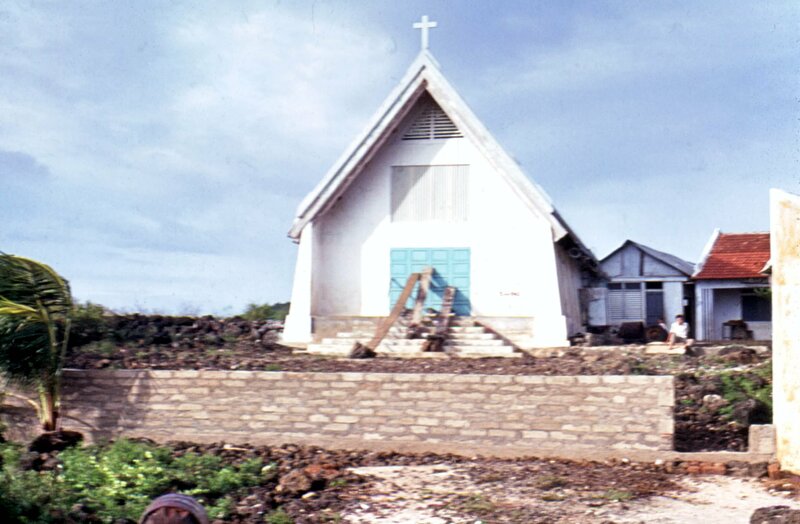 In another incident, I goaded local Vietnamese pastors into witnessing for peace; one of them responded by marching into the thick of some fighting close by and beseeching both sides to put down their weapons. Fortunately, in this instance no one got hurt, but another ill-advised judgment on my part got a very close friend killed in a vehicle accident. The war was beyond my control, beyond anyone’s control. And it was getting closer. One Sunday morning, B52 bombers flattened a neighboring district, killing many people by sheer concussive force; I could feel the ground rocking. To be Vietnamese, I had thought, is to be like bamboo or coconut palms—bending gracefully with the wind, and not breaking. But my little bamboo self was getting close to cracking. By August 1972, it was time for me to leave. Period. My emotional reserves were utterly spent. My usefulness was ended and so was my bond with the local Vietnamese. I could escape, while all my co-workers and friends could not. I was turned in upon myself by inarticulable grief and could no longer face the suffering without wanting to die myself. This story is part of the Mental Health Awareness story collection. I wasn’t the only foreign worker in my organization who slipped into a passively suicidal state. Fortunately, some subconscious instinct took over. As I flew out of Quang Ngai for the last time, I could see American warships offshore, poised to shell the coast. I let go, or more exactly, I shut down. My mental construct of the province abruptly shrank in my consciousness to the size of a postage stamp. For the next thirty years, I could not summon up mental images of the province, other than those I had recorded in pictures. I guess it was simply too painful. By this point, the reader might wonder: could it be better not to get attached to an unfamiliar culture, at least under conditions of civil war? My grief certainly did not help any Vietnamese victims cope with their war. But there has been a happy ending of sorts. As my father used to say, “Time is a gentleman”. Almost thirty years later (in 2000), I mustered up the nerve to return to Vietnam. This time I was drawn not by the exotic Orient but a very mundane research project on poverty. The visit unexpectedly provided the occasion for some long-deferred healing. I took the train to Quang Ngai, where I found the residents somewhat better off, but more importantly, relaxed and outgoing—no longer anxious and clingy. I traveled by motorcycle all over the province, drinking in the lovely countryside. I rode with an old friend; he told me his life had been difficult, but he still treasured our friendship from the war years. This healing, while almost complete, continues. In January 2010, a man who was a high school student when I lived in his house for several months in 1971 found me through the Internet. He sent a picture of his wife and two sons—putting to rest, finally, my concern about his fate. The experience made me aware of how fragile the life that I live is, and how fragile the lives of others; but that inspires me to provide what marginal help I can to enable others to restore dignity, order and hope in their lives. 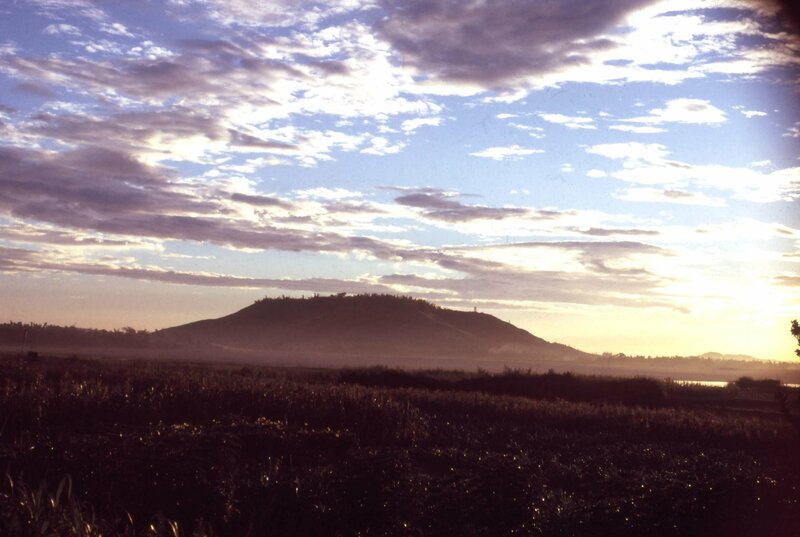 My two-year traumatic encounter with civil war in Vietnam likely did more to shape who I became, personally and professionally, than any other experience. Do I regret it? Might I have had a more productive two years in some other culturally challenging locale? Perhaps, but these are not very useful questions. The better question is: did the experience make me a better citizen of the world? I like to think so, for it gave me a certain hard-bitten hope. Two years in Quang Ngai opened me to the ways that US power can be misapplied, but I retain the hope that we can learn from our mistakes. The experience opened me to how people can suffer, but I learned how they can gain resilience and rebuild their lives according to the genius of their own particular cultures. The experience made me aware of how fragile is the life that I live is, and how fragile are the lives of others; but that inspires me to provide what marginal help I can to enable others to restore dignity, order and hope in their lives. 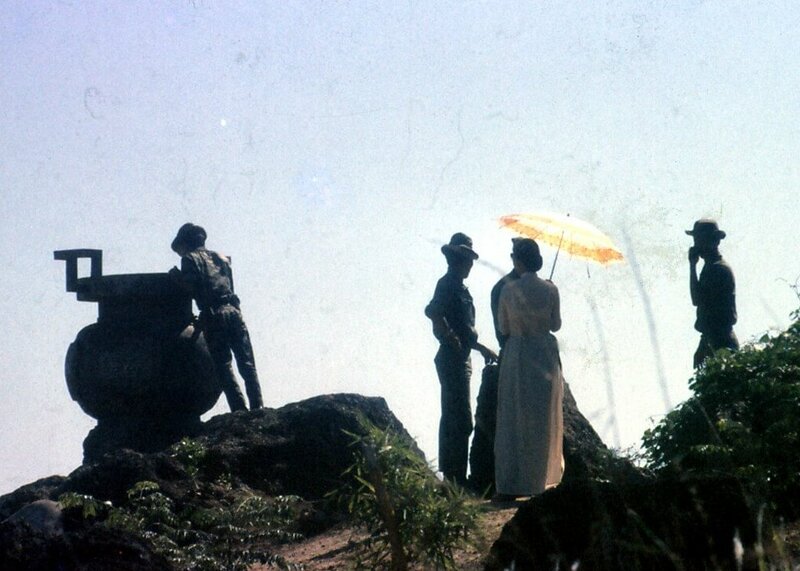 And finally, the two years in Quang Ngai opened my understanding of American soldiers who at the time I thought were the wrong soldiers in the wrong place, but who I later realized also suffered their own trauma. I hope that all the soldiers who have carried their own pain and guilt with them these past four decades will find the occasion to return to Vietnam for their own healing. They will not find battered wreckage but a vibrant society, eager for economic and social growth in the future. In this future, there is room for Americans who want to immerse themselves in the language and peoples of a truly fascinating culture. 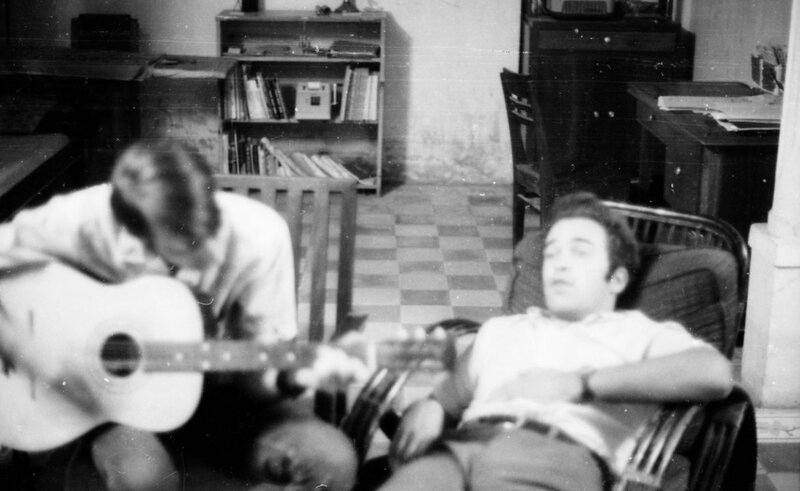 I returned quite depressed from Vietnam in 1972 and spent half a dozen years writing books and articles about energy and environmental affairs in New York City. Then nine years in graduate study at the University of Chicago Divinity School. Then 27 years teaching in the religion department at Concordia College. And now retired for two years, during which time I renovated a 100-year-old house to net zero.